The U14 A team has beaten Espanyol 2-1 in the Catalan Championship Final, coming from behind to clinch the game with goals from Leo dos Reis and Roger Martínez. After the match, Catalan Federation president Andreu Subies presented the trophy to captain Xavi Simons, and the players then gave the bumps to assistant manager Isaac García, who was coaching the team for the very last time. It’s been a terrific year for the team, who have collected five pieces of silverware. 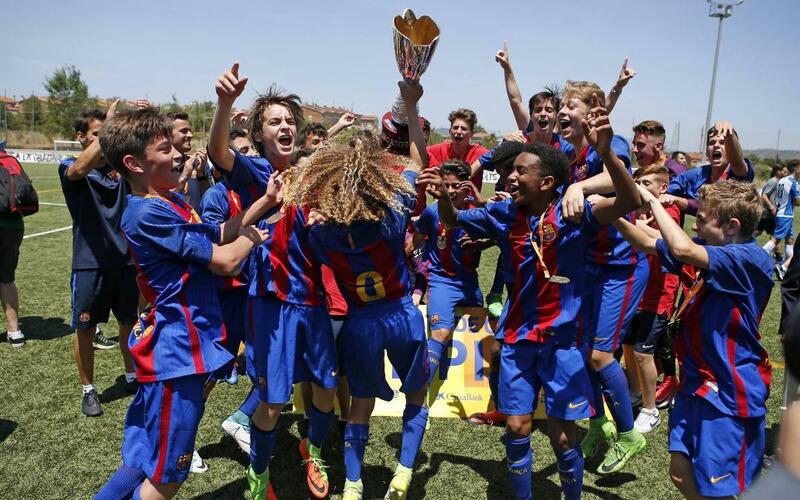 Not only did they win the Division de Honor, but they added MIC (beating Celta 3-1 in the final), the Güeñes (beating Real Madrid in the final 4-2) and the Lennart Johansson Academy Trophy (beating Inter Milan 2-0 in the final).